It seems that the first thirty seconds of the Assassin’s Creed Origins trailer have been leaked and it will be released soon during E3 2017. 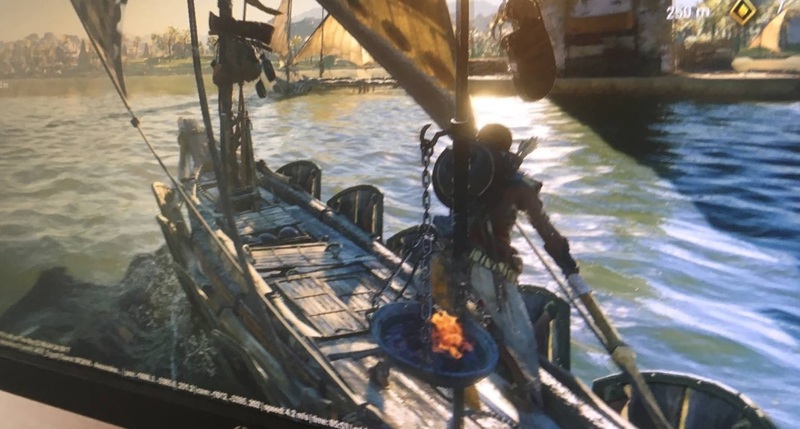 Although the quality is absolutely terrible, but at least serves to know that this next iteration of the saga of the Assassin’s Creed will actually be set in Egypt, precisely in the 1354 year before Christ. The game will also feature desert climate with mirages. The featured image shows the protagonist sailing on a small barge, supporting the validity of the previous image when the same shield and clothing were seen as on that occasion. It also supports the versions we reported a few days ago about the existence of a naval system. The team is made up of a large part of the Assassin’s Creed 4 team. You will have a section of days of the present. There will not be Desmond Miles. It will run on an improved version of the AnvilNEXT engine. Ubisoft will begin to reveal little information around the end of May, and there will be a full disclosure during E3. Ubisoft has not officially confirmed anything related to Assassin’s Creed Origins, so take this news with a pinch of salt.